–The high school football season opened with scrimmages over the weekend. Saturday night, the Templeton Eagles hosted the McFarland Cougars. The Eagles played the game without numbers on their jersey, and no official score was kept. 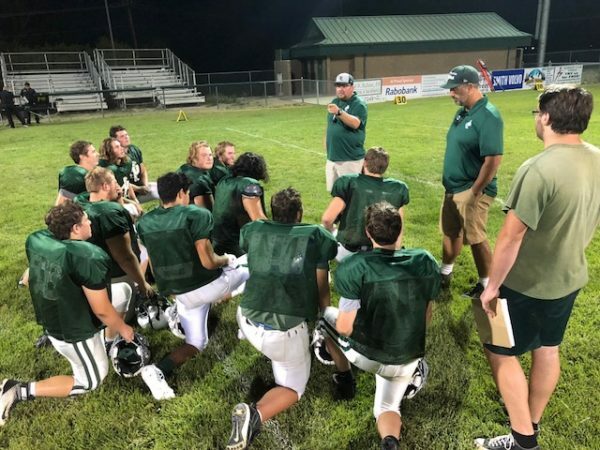 The game was played without punting and kick-offs, but it gave players a real-life scenario in preparation for the season opener at home against Aptos in two weeks. Head Coach Tyler Lane said he was pleased with the players’ performance. At quarterback, Zack Logan started for the Eagles. Jack Trimble ran the offense after half-time. The Eagles host the Aptos Mariners Friday, Aug. 24.